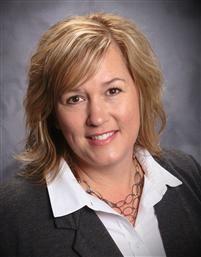 Stephanie Leland has been serving the Genesee, Lapeer, Saginaw, Tuscola Counties and surrounding counties for over 19 years. Licensed as a ABR, SRS, E-PRO and MRPC, she is definitely a "Go to" agent. Stephanie is an associate broker who currently works for RE/MAX EDGE. Stephanie Leland epitomizes integrity, energy, hard work, and creative service in every detail of your real estate transaction. Stephanie donates to Children's Miracle Network and REALTORS Political Action Committee. Stephanie is also on the ECAR'S 2018 Greivance Committee. With Constant Educational classes, Stephanie is a realtor you can count on. "Thank you Stephanie for being a big part of our transition! From the start, Stephanie got things moving quickly! She addressed each of our concerns with professionalism and compassion. She guided us through the entire process and was right there with us when we handed the keys to the new homeowner."